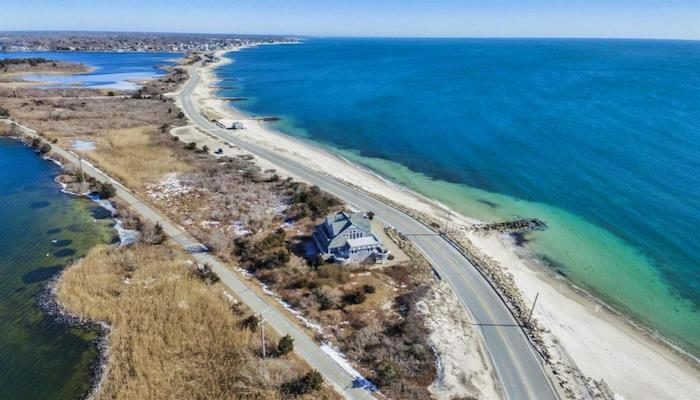 Grand Ave. & Menauhant Ave. Near Falmouth Heights Beach, it is 3.3 miles one-way along Grand Ave. and then Menauhant Ave. to East Falmouth at Central Ave., with great views to Vineyard Sound on one side and several ponds on the other. One could run 8.6 miles one-way from Nobska Light to the end of Menauhant Ave., though 2.3 miles are inland, connecting the two sections. Route Map: Woods Hole & Surf Drive Route Map: Grand Ave. & Menauhant Ave.